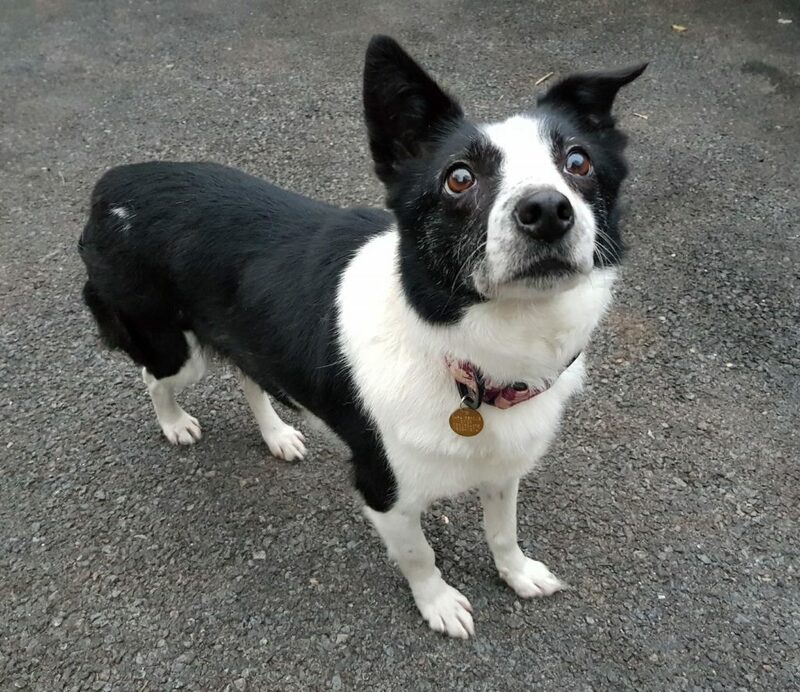 Pretty Mollee is an approximately 7 year old small border collie cross. Regardless of her age, she is young at heart. Mollee is a very affectionate and friendly girl. She adores people and loves pets, cuddles and food. She is fine around other dogs but can be bossy, so another placid canine friend would be a good fit for her. She would be fine as an only dog either and is happy in her own company. Mollee is crate, lead and almost fully house trained. She is a low to medium energy girl and would like a daily walk.